We are located in New York City, near the United Nations Headquarters. Visitors and Training by appointment. Click for Company management, map and information. New York, NY 10022 USA. SMART is an experienced software developer who offers services to link SMART software through an Application Program Interface (API). SMART offers custom programming for Microsoft Word, FrameMaker, PTC Arbortext. Languages include C/C++, C# and Java. Contact us for custom projects. An IBM study shows that simplification costs a penny, but returns savings through error prevention. A data sheet that describes the company capabilities. Use Quick Quote to request costs. Automotive, Autonomous Vehicles, Mining Equipment, Aerospace, SatCom, Cyberspace, Banking, Finance, Military, Engineering, Semiconductors, Education, Law Enforcement, Healthcare, Telecom 5G, Energy, Pharmaceuticals, Maritime, Robotics, Process Control, Oil and Gas, Medical Devices, Software Engineering, Information Technology and Consumer Electronics. 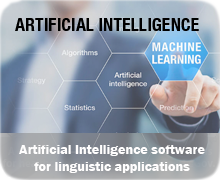 SMART Communications, Inc., New York City, has 20+ years experience in the development of Artificial Intelligence software. 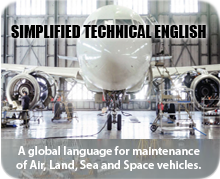 Our technologies can improve your customer experience through Controlled English, Plain English (eGov) or Simplified Technical English (Aerospace). Our linguists use Text Mining tools for rapid dictionary development. We understand Artificial Intelligence (AI) and digital publishing technologies. Visit our Idea Gallery for Controlled English user experience stories and ideas. 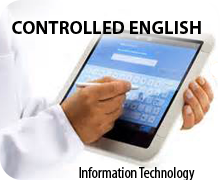 The SMART MAXit Checker uses 16,000 rules of English grammar and a Controlled English dictionary to simplify technical information. The MAXit dictionaries uses 1% of the English language to reach 95% of the readers. See our Six Sigma Quality tool to avoid Product Liability through failure to warn. The SMART team has applied Artificial Intelligence (AI) and Controlled English to simplify complex technical information. Learn how Artificial Intelligence can make your technical information, mobile displays, forms and web sites easy to use. The SMART Text miner is a text analysis tool that can extract terminology, nomenclature, part names, entities and synonyms for custom dictionaries stored in the Lexicon Manager. 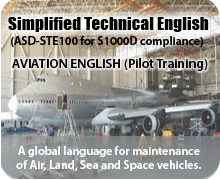 The MAXit Checker can check Simplified Technical English (STE for aerospace), Controlled English (other industries) and Plain English for Government. The MAXit Checker software is a plug-in to Microsoft Word, Adobe FrameMaker, XMetaL, PTC Arbortext Editor and an API for other publishing tools. SMART offers instructor-led Writer Training classes by Internet or on-site. Our courses use the MAXit Checker for training. Email for costs and outlines. 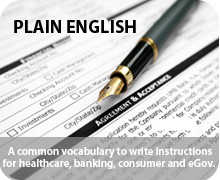 Simplified English texts are 30% smaller, easier to translate, more accurate and use consist terminology. See our Translation samples from Simplified English into Arabic and French. You can purchase a MAXit Starter Kit for proof-of-concept. This kit is ONE license for Microsoft Word or Adobe FrameMaker. 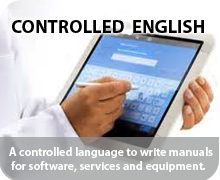 SMART Team offers contract technical writing (XML, S1000D, CE, PE, STE), programming and digital publishing services. The SMART Audit team has 25+ years of publishing experience and the text analysis tools to audit documentation for quality, compliance, translatability and usability. Email for costs and information.